Mountaintop Retreat, formerly Ouray Faith Bible Camp, held its first children’s camp in a public park in Ouray, Colorado in 1946. Camps were held in the park until the 1960’s when the location was moved to a ranch on the Little Cimarron River near Montrose, Colorado. From 1974 to 1982, an existing camp facility was rented near Cedaredge, Colorado. In 1978 land was purchased in Ouray County, adjacent to the Uncompahgre National Forest. Enough of the facilities were completed to hold camp on the property in 1983 and, since then, camping activities have been held at this location. 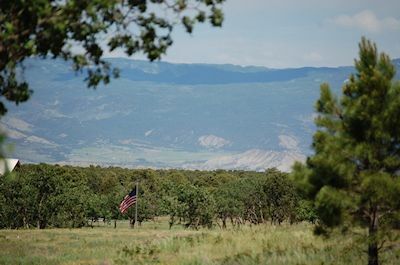 Mountaintop Retreat is located in a very scenic area of Colorado. Thus, there are many opportunities for sight-seeing and other great activities nearby that you can participate in, as listed below in the Area Attractions and Area Recreation sections. The attractions listed below are not part of Mountaintop Retreat’s programming. Please contact the individual organization listed if you desire to participate in one of these non-Mountaintop Retreat program opportunities. 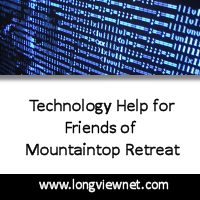 These listings are provided for informational purposes, as such; Mountaintop Retreat does not endorse nor is affiliated with any of the listings provided. Hiking/Biking – there are hundreds of miles of trails in the Uncompahgre National Forest for hiking or biking.